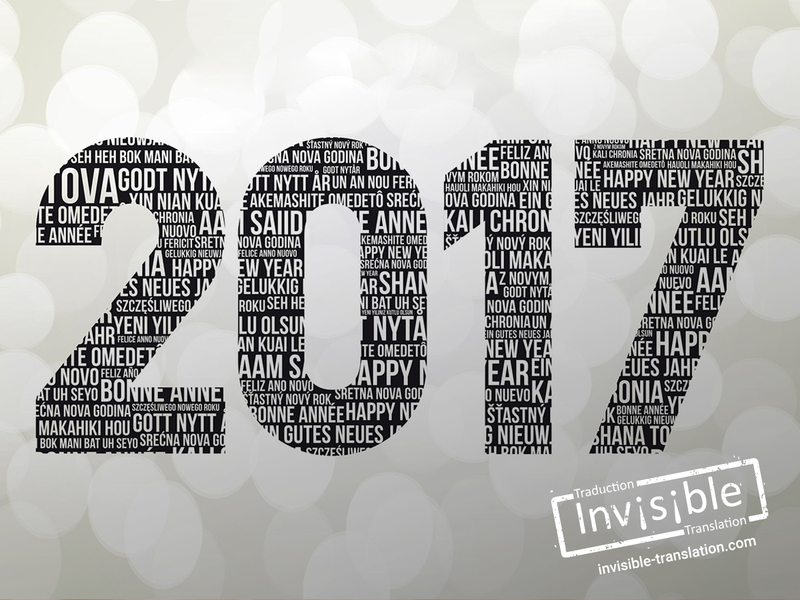 INVISIBLE Translation’s list of resolutions | INVISIBLE Translation Inc. If you compare notes with the people around you, you’re likely to find that the list is pretty much the same as last year: stop smoking, eat a healthier diet, and get more active. Resisting temptation is a never-ending battle. And changing old habits requires more than a snap of the fingers. We have to take tangible action, stay the course against all odds (and temptations), measure our progress and reward ourselves for the goals we attain. With this in mind, here are our team’s top resolutions—linguistic resolutions, that is—which are of course quite easy to adopt. Many studies have shown that bilingualism has many positive effects on the brain. People who speak at least two languages apparently have more grey matter and greater cognitive skills. Being bilingual also gives you an undeniable leg up in the era of globalization, especially for employability. Learning a new language is the perfect opportunity to diversify your skills while discovering a new culture, exotic cuisine, different customs and amusing expressions. In 2017, enrich your vocabulary by learning a new word every 24 hours. “No time to open the dictionary 365 times a year,” you say? INVISIBLE Translation posts items almost every day on its social media sites! Check out what’s on our Twitter, LinkedIn, Google+ and Facebook pages! You can then subtly slip your discoveries into your writing and your conversations. We bet that you’ll charge into 2018 more eloquent than ever! When not used as auxiliaries, excessive repetition of the verbs to have and to be can sully an otherwise sparkling text. English abounds with wonderful verbs, each suited to a specific context. For have, you can often substitute verbs such as contain, include, and comprise. Similarly, the verb to be can often be replaced with exist, occur, and arise. Open your thesaurus to find just the word for each context. Your written communications will be livelier! Why not strive to use more concise wording this year? Composing run-on sentences with eight clauses and countless commas is counter-productive. All you’ll accomplish is to increase the risk of making a mistake and confusing your readers. Your secret weapon? The period → . With this little dot, your texts will quickly gain clarity, readability, and coherence. Save your pronouncements of 219 words for your doctoral thesis. Another way to enhance your quality of life is to entrust complex linguistic tasks to someone who possesses the requisite knowledge and skill. In 2017, why not take your written communications to a whole new level by turning to an experienced professional? INVISIBLE Translation’s competent team will be pleased to place its grey matter and vast vocabulary at your service, to instil your written material with the prominence it deserves! That way, you can focus your time and energy on the other resolutions you have made to transform your daily life. Are you making any New Year’s resolutions this year? How do you plan to achieve them? Send us your comments and suggestions: feedback@invisibletranslation.com.